This week Joburg-based blogger Heather Mason, aka 2Summers, gives us her take on the city. 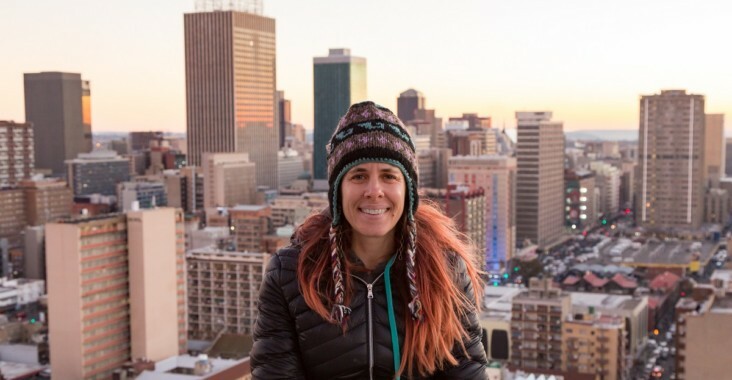 HEATHER MASON is an American living in Joburg. Her popular blog 2summers documents her life and her travels around South Africa and the world. Her adorable cat Smokey (aka the Melville Cat), also regularly features on the 2summers blog, detailing his own take on life as a cat in the quirky suburb of Melville, feline lovers can follow him on Instagram at @themelvillecat. In 2017 Heather launched the #Gauteng52 Challenge, challenging herself to visit a new place in the Gauteng Province every week and write a blog post about it. The #Gauteng52 Challenge became an intense exploration of this small but fascinating province that saw her visiting everything from religious festivals, fruit farms and hiking trails to artist studios, factory showrooms and Pretoria’s “freaking weird” Prison Museum. 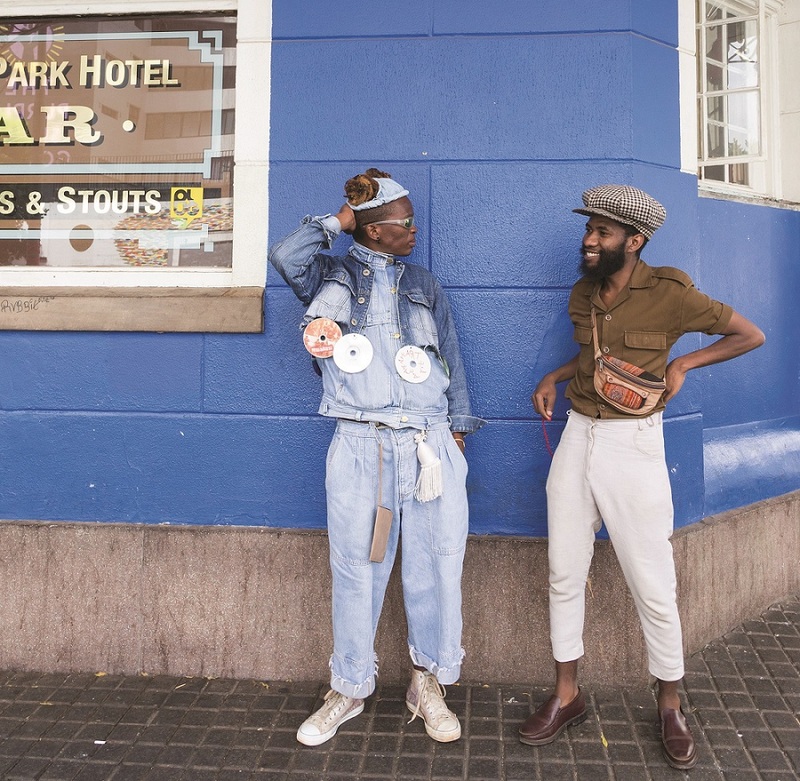 Now the #Gauteng52 Challenge has become a book – part coffee table book, part guidebook, it is filled with Heather’s beautiful photography and quirky stories about unusual local attractions. The limited-edition book is now available to buy through the Bridge Books online shop and Heather will be talking about her book at the official launch at Bridge Books Maboneng on Thursday December 13 at 18:00. I moved to Joburg eight years ago in August 2010, to live with my South African boyfriend. I faced a lot of challenges during my first few years here – my partner died in December 2011 – but wound up staying because of my blog. I realized I have talent and passion for telling Jozi stories through words and pictures, and I can’t imagine doing what I do anywhere else in the world. Melville is my favorite suburb. It’s where I’ve lived since the first day I arrived in the city and I doubt I’ll ever live anywhere else. I love Melville’s tree-lined streets, its lively restaurant and bar scene, and the friendliness of the residents and shop-owners. I also love walking on the Melville Koppies. Constitution Hill, Ponte City, from both the bottom and the top, Saturday morning in Braamfontein or Sunday morning in Maboneng. Joburg is often described as lacking in natural beauty. But the city has so many nice parks – Walter Sisulu, Emmarentia Dam, Delta Park, the Wilds, the Melville Koppies, etc – and each park is so uniquely beautiful, often with great views of the city skyline. Also we have the blooming jacarandas in October, surprisingly lovely autumn leaves, and spectacular post-thunderstorm sunsets in the summer. Most underrated Joburg sight or experience? Visiting the Top of Africa on the 50th floor of the Carlton Centre. The windows might be dirty but the 360-degree views up there provide great persecptive on the city. Also the Joburg Red Bus stops there and it only costs R20. I love Mooteebar for cocktails, the Lucky Bean for hanging out on the pavement with a glass of wine, and Urbanologi for delicious tapas and craft beer. The Oriental Plaza because I love the colorful fabrics, the food (especially World of Samoosas), the people-watching, and great prices for clothes, curtains, and kitchenwares. I have far too many favorites to choose just one! In the general vicinity of Melville I love Pablo Eggs Go Bar, Breezeblock, Love Me So, the Richmond Studio Cafe, Croft & Co, and Bread and Roses. My own house in Melville. Like most houses in the inner Jozi suburbs, I have a lovely garden and there’s usually nowhere else I’d rather be. On weekends you’ll find me…. On a walking tour of the city, often with JoburgPlaces, Dlala Nje, Past Experiences, or the Joburg Heritage Foundation. Don’t listen to people who tell you Joburg is too dangerous to visit. Don’t hole up at an airport hotel! Just find a local who knows his/her way around and start exploring, preferably with a copy of Johannesburg in Your Pocket. Best things about Joburg: The people. Worst things about Joburg: The traffic, bad driving, and lack of walkability. I would probably live in Washington DC, where I lived before I moved here. DC is a small but vibrant city and I love spending time there every time I go back to the States. Three words that describe this city…. Gritty, friendly, real.